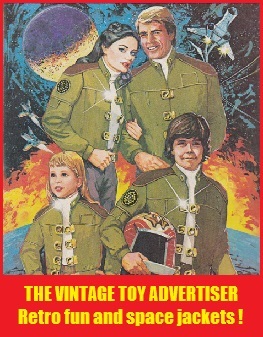 Good Eggs was made by the Pedigree toy company in the late 1970s and featured a range of egg-shaped characters such as ‘the farmer’, ‘the guard’, ‘the nurse’ and the ‘fireman’. Also featured were some pun-tastical titled vehicles such as the ‘Eggtractor’ and ‘Eggbulance’ and a number of gift sets including ’emergency’ and ‘town and country’. 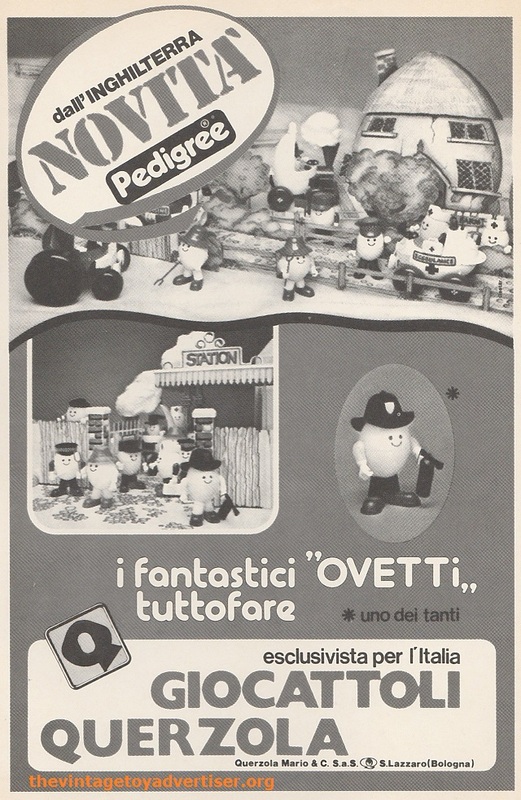 The sets were sold in the UK and, as the advert below shows, in Italy from Querzola toys: i fantastici ovetti tuttofare roughly translated as the fantastic eggs all-rounder! This entry was posted in GOOD EGGS and tagged 1970s toys, 1980s toys, Egg character toys from the 1970s, Good Eggs Eggbulance, Good Eggs Eggtractor, Good Eggs toys 1970s, old toy adverts, Pedigree toys, Querzola toys, vintage toys on February 20, 2016 by The Vintage Toy Advertiser.